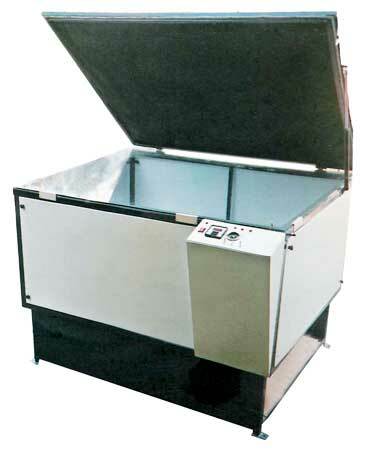 Sahil Screen Exposing Machine is Built with Heavy Duty Box Section Framework & Fitted with Toughened Glass. It also Consist Imported High Quality Molded One-piece Rubber Blanket for Proper/correct Vacuum and Using Instant Start Metal Halide Tube 1 K.w./ 3 K.w. for Fast Accurate Exposing. this is Control By Digital Electronic Timer with 20 Memory. Screen Exposure Systems Offer Exceptional Speed, Efficiency and Reliability.